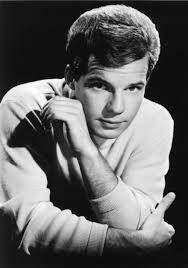 "Devil or Angel", Rubber Ball", Take Good Care of My Baby", "Run to Him", and "The Night Has A Thousand Eyes"... these are a few of the recordings that made Bobby Vee one of the top recording artists of the 60's. Bobby was born in Fargo, ND, into a musical family At the age of 15 he joined his older brother's band, the Shadows, and the Shadows became one of the top new bands in the area. As a result of a tragic twist of fate, Bobby's story begins to take on a bitter sweet flavor. On Feb. 3, 1959, Buddy Holly, Ritchie Valens, and TheBig Bopper were killed in a plane crash leaving Clear Lake, Iowa. They were scheduled to perform the next night in Moorhead, MN. The decision was made to continue on with the show in Moorhead, and the promoters asked for local talent to help fill in. That night Bobby Vee was introduced to the world. On June 1, 1959, Bobby and the Shadows recorded a song on the Soma label called "Susie Baby" in Minneapolis. By summer's end the song had reached number one on all the local stations in the upper mid-west. Bobby was drawing the interest of several major recording studios, and in the fall of '59 he and the Shadows signed with Liberty Records. They continued to play together until 1963. In the 30 plus years following 1959, Bobby would go on to place 38 songs in the Billboard top 100 charts, 6 gold singles, 14 top forty hits, and 2 gold albums. Besides touring the United States extensively, Bobby has toured Japan, Australia, and Europe. He also has toured the United Kingdom, and is usually a yearly visitor there. In a poll taken by UK magazine, "The Beat Goes On", was voted number 1, "Best International Act". Billboard magazine once called him "One of the top ten most consistent chart makers ever". Today, Bobby performs with his two sons, Jeff and tom, who are part of their own group, The Vees, and for the last 26 years Ar Stevens has been the lead guitar player and musical director for Bobby. Between the US and Europe, Bobby performs about 100 dates a year. He also has his own recording studio - Rockhouse Recording Studio - located outside of St. Cloud, MN. When he is not touring or working on his own music, he is involved with other musical projects at his studio.